“Do you feel buried and suffocated by a mountain of bills? “Would you like to ease your financial worries fast and get your life on track? “If so, don’t put it off another minute. The sooner you address this situation, the sooner your life will be back on track. This potent spell to get out of debt could have you on the path to riches in no time. 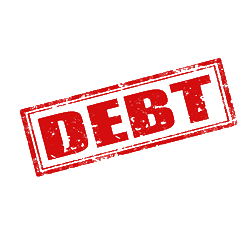 Your debt load is heavy and you want it to be erased ASAP. This debt is causing you anxiety and stress. You need a lucky break, and all you are asking for is a chance to break free from debt and start your financial life anew. You are a responsible person and once the slate is clean, you won’t put yourself in this situation again. If the above accurately reflects your current situation, ask Jean Claude to cast this powerful spell in your behalf.